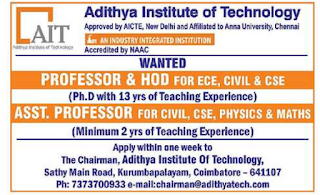 Adithya Institute of Technology, Coimbatorehas advertised in THE HINDU newspaper for recruitment of Professor Hod, Assistant Professor jobs vacancies. 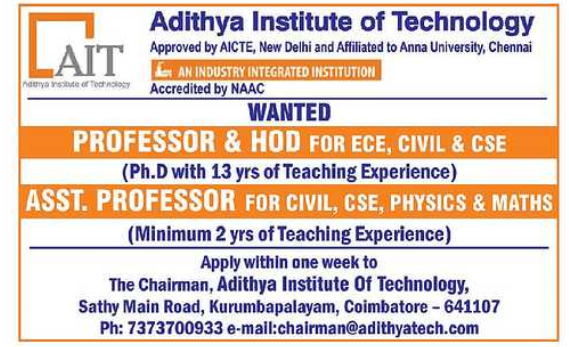 Interested and eligible job aspirants are requested to apply with in one week. Check out further more details below. How to apply: Interested and eligible candidates can apply with in one week.